Need Repair Service on Your Maytag, JennAir, Amana, Magic Chef Appliances? ​We would be happy to help! Valley View Appliances offers trustworthy service for your Maytag, JennAir, Amana, and Magic Chef appliance repair and we strive to make your experience successful from start to finish. As a leader in the industry, Valley View Appliances will be able to provide you with top notch in-warranty and out-of-warranty service. Our experienced and factory-trained technicians are able to well-equipped to tackle any issue you may have with your Maytag, JennAir, Amana, or Magic Chef appliances. Check your owner's manual to ensure your Maytag, JennAir, Amana, or Magic Chef product falls within the manufacturer's specified warranty period. Find and record your model and serial number. Have a copy of your proof of purchase or bill of sale available. Contact the manufacturer of your Maytag, JennAir, Amana, or Magic Chef appliance (this number will be provided in your owners manual). 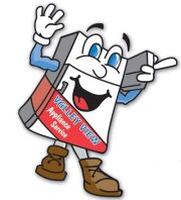 Request from the manufacturer that you would like to book warranty service with Valley View Appliances. Once we receive the proper paperwork from the manufacturer, we will contact you to book in your service call. Please give consideration to the time you are booking with us as we do have a cancellation policy in effect. All of our trucks are fully stocked with parts for many common appliance repair issues but if we have to order a speciality part for your appliance repair, we will rush the part as per the manufacturer's policy. As stated above, all of our trucks are fully stocked with parts for many common appliance repair issues. We strive to fix your appliance the first time out! ​We look forward to helping you with your warranty service repair!